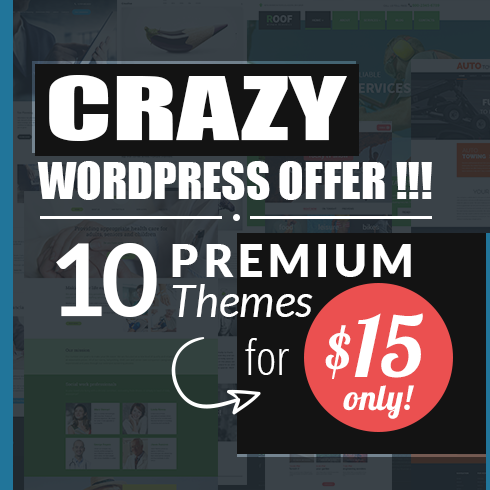 Premium Wordpress Themes | WordPress Bundle: 10 Premium Themes for $15 ONLY! WordPress Bundle: 10 Premium Themes for $15 ONLY! In the package, you get 10 WordPress themes that belong to different categories: Photography, Business & Services, Hotel, Consulting, Exterior Design, Finance, Medicine, Cars, and Hosting. Get 130 Crocoblock WordPress Themes for $34! 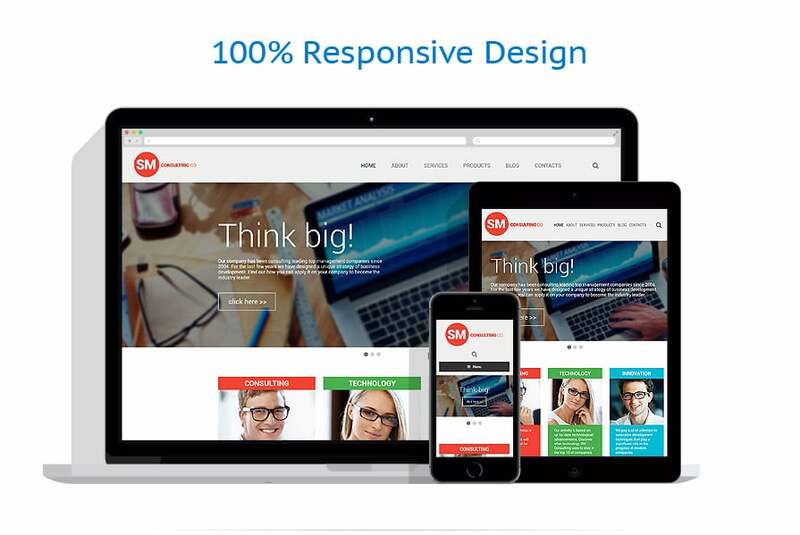 Responsive WordPress Themes include several layouts optimized for various screen resolutions. Here go four primary ones: desktop layout (980px); tablet layout (768px); smartphone layout – landscape (480px); smartphone layout – portrait (320px). Clearly, in 2019, web themes are just about everywhere. Even big brands choose to launch their webpages using these well-liked solutions. So, what is website template and why do you actually want it? To begin with, web template is a group of layouts, modules, and user interface elements. All the layouts a template has are pre-designed and properly featured. In addition, these ready-made products are versatile, so you can customize each layout, every shade, and each pixel without difficulty. Speaking about the quality site templates, they are free of code as well. Due to this fact, a user receives his design just off the shelf without the necessity to code. Moreover, the product contains all of the important functions (email subscription, responsive design, or search engine optimized code) and the popular web design elements (sliders, Parallax backgrounds, carousels, etc.) simultaneously. Besides, downloading the package of a professionally created web theme, a user will discover there premium plugins. And these are only to name a few! 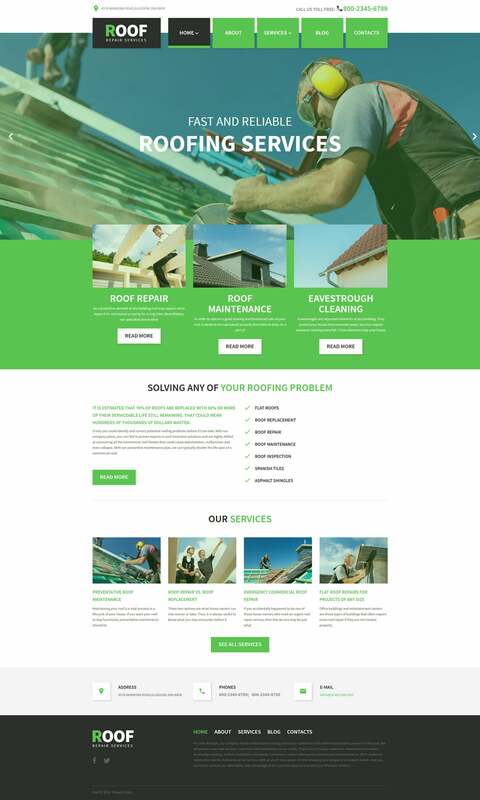 Frankly speaking, this kind of solutions are exceptional due to an inbuilt page builder that lets you manage the website up to your business style or individual taste. Should you be in search of a hassle-free way to release a modern website, here is what you need! So What Is WordPress CMS? In the present day, WordPress is among the most popular platforms to run a website. In 2019, WordPress platform covers nearly 40 % out of all the existing websites, so you may be wondering why is it so widely common? First of all, WP platform provides its users with an entirely stress-free site building process. You do not need to have any special knowledge to start up a quality site with the help of WordPress theme. These skins can be made use of by users of all skill levels. To put it simply, by making use of a WP template, you receive a true WYSIWYG feel. With it, you can build online pages, customize them, and tweak any feature easily due to a built-in drag-and-drop content editor. You can come across it in any WP template design. Moreover, there is a real time preview, which means you’ll avert all the common mistakes. Meanwhile, WP is not just a powerful platform to run a site. It’s a resource for top quality solutions for web designers. As you may be aware of, WordPress also supplies the web users with a number of no cost digital products. 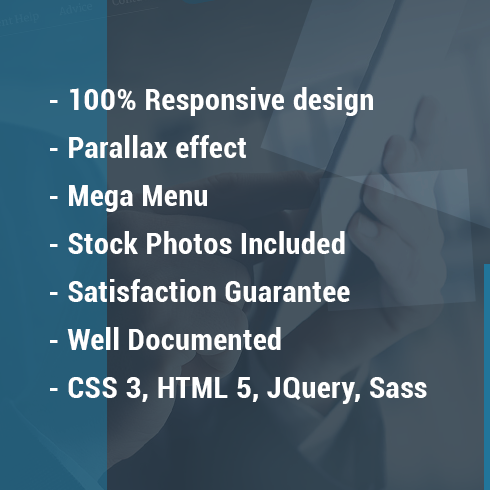 The catalog of these offers consists of themes, extensions, typography, addons, etc. Additionally, WordPress template has a number of no cost guides to assist you to build a site or improve its capabilities. Then finally, using the services of WP, you can find a theme for pretty much any kind of enterprise! It will include only the features your business website genuinely needs and, of course, you will find some web design trends in the pack. In addition, WordPress CMS usually supplies its members with free updates that include auto set up. For starters, all the premium WordPress Web Templates are generally known as themes. In fact, the biggest part of such items is multipurpose. This means that you are able to create a lot of websites for several purposes only applying one template. It’s a helpful thing not only for site owners but for web developers too simply because you are able to create as many sites as you want. Dealing with the technical side, WordPress web themes are easy-to-use, absolutely intuitive and extremely uncomplicated in modification. That being said, which features you can find opening the bundle of a premium WordPress theme? Surely, the pack of a carefully selected premium WordPress theme is made up of all the must-have options. For starters, your website has to look flawlessly on all devices, particularly smartphones, since a lot more clients explore the internet on the go. For this reason a template has to be responsive meaning it’s adaptable to any screen size. Additionally, there should be a mobile-ready layout to make all the essential areas scrollable from mobiles. Furthermore, bear in mind that your website undoubtedly needs such vital features as crossbrowser compatibility and search engine-friendly program code. Because of the built-in Search Engines Optimization, Google, Yahoo, together with other engines will quickly notice your site among competitors. And finally, included in the download pack of WordPress web template, you will find a number of styles for blog and gallery to pick from. For extra interaction from the audience, you should think about making a blog. By using it, you can share all the news such as approaching giveaways and new products. Besides, there will be newsletter membership option to keep your customers engaged. Obviously, you’ll receive plenty of readable web typography and eye-friendly icons to improve your textual content and these are just a small part! Undoubtedly, in 2018, you need to have a handful of cool options to stick out from the competitors. Because of these basic reasons, these WordPress themes come with a number of tasteful characteristics. For instance, there are numerous counters, (such as Countdown Timer that is a great way to point out a deal or sale) graphs, accordions, progress bars, and more. Not to mention, WP themes include fabulous graphic effects. 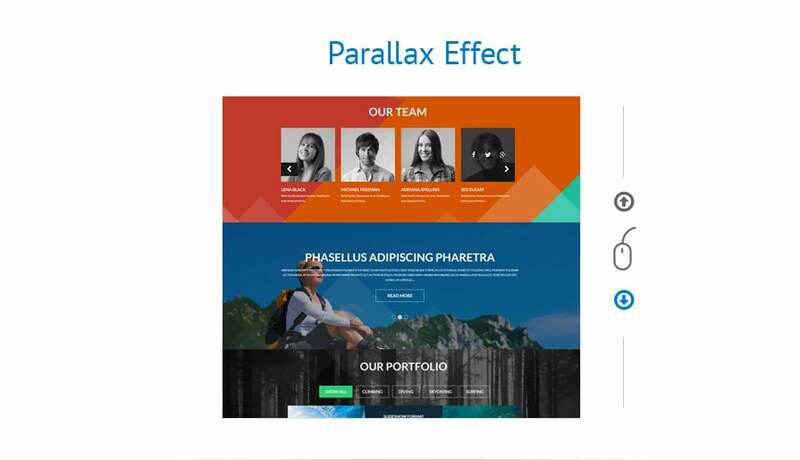 There’s a favored Parallax Scrolling effect, which enables you to generate captivating and sleek backgrounds. By using the feature, you’ll lead viewers through the content material of the site in an engaging way. By the way, all the premium WordPress templates come with cool plugins inside. They provide a site with comfy and user-friendly navigation. It’s an important point assuming you would like the website to be a favored place. There’s MagaMenu plugin, that allows webmasters creating stunning menus of any difficulty. Working with the feature, you can the items or posts using categories and subcategories if needed. On the list of some other characteristics that will improve the navigation of the website, there are such things as dropdown menu, custom sidebars, back-to-top button, widgets, Ajax-based page transitions, and much more. In fact, nowadays, each of the WP themes come with previews, so its possible to view them to find out how a layout works in real time. How Much Do WP Designs Cost? Normally, a WordPress template with a single site license will be priced at roughly sixty dollars. As you can imagine, the end value normally is defined by the characteristics, UI components, and plugins that are packed in the theme. When it comes to multipurpose WordPress web templates, one of them will be priced at $90 or more. Despite the fact that these prices sound quite reasonable, you can spend less on buying a WordPress theme. You may wonder how? For these simple purposes, take a closer look at latest bundles. In short, item bundling implies providing multiple goods and services with a discount. With it, bundle is a set that contains a handful of various goods made for one purpose. For example, if you are going to set up a web project, there are digital bundles that already include items like templates, fonts, premium plugins, high-res photographs, and many more. One more obvious good thing about picking bundle is its price tag. Simply speaking, bundle costs like one or two objects it includes. That’s the reason some people might think that as opposed to the price of other items the price seems suspicious. What’s the secret? Basically, bundle is at all times a limited time deal which explains why it’s so affordable! The Reason Why It’s Better To Purchase WordPress Designs Bundles? Basically, getting a bundle can be a time saver. On top of that, it is certainly convenient for web designers considering they will receive all the needed goods just off the shelf! As a result, you won’t need to waste time on seeking each and every product separately. With such elements, you will quickly develop the desired online project. Where To Shop For More Products? In case you didn’t find the important goods packed in this bundle, feel free to browse the gallery, seeing as there are lots of other bundles. For example, you can select from things like CrocoBlock bundle, premium WP bundles, or mega bundles. Also, MasterBundles collection also contains bundles with graphics, textures, fonts, mockups, infographics, images, and psd. As the title of the organization says, MasterBundles is a modern website that provides a variety of premium solutions for web designers and developers. Visiting the collection of the company, you will come across plenty of elements that come in a bundle. Thanks to that, it’s easy to create the website without spending all your money. Furthermore, MB suggests their customers to use special discount coupons. Don’t hesitate to use them to recieve a discount! You can save up to 30%! MasterBundles has an entertaining blog, which may be beneficial for anyone who needs to be aware of recent information about digital solutions, the hottest tendencies, etc. Moreover, MB team submit all of the new discounts in the blog, so don’t miss out! There’s a quick subscription form in the footer of the page. Don’t forget to insert your email address and be the first one to learn about upcoming discounts and special offers.